In Fox News Worse Than No News Panderbear referenced two university studies regarding Fox News. "A study from the University of Maryland found that on a range political issues Fox News viewers were more likely to believe false information than others. Furthermore, the more they watched Fox News the more misinformed they were." "A recent poll from Fairleigh Dickinson University found that Fox News viewers are less informed than people who do not watch any news." The original Fairleigh Dickinson study was limited to residents of New Jersey. They have now released an updated report that is nationwide. "In the study, 1,185 respondents nationwide were asked about what news sources they consumed in the past week and then were asked a variety of questions about current political and economic events in the U.S. and abroad." The new study confirms their earlier conclusions. Those who reported that they only watched Fox News got the lowest scores. Again the polls show that those who watched no news scored higher than Fox News watchers. What was the Fox News Network official response? A pathetic ad hominem attack on Fairleigh University. This logically fallacious response was the moral equivalent of, "Oh yeah? You stink." Panderbear doesn't know whether Fairleigh University stinks or not, but he knows a logical fallacy when he sees one. And how to explain the confirming studies from other sources? Do they all stink too? Who scored highest in the new study? Those who listened only to NPR. 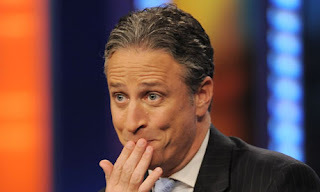 In a truly embarrassing result for Fox News (if Fox News were capable of being embarrassed), respondents who reported only watching "The Daily Show With Jon Stewart" scored much better than Fox News watchers and almost as well as NPR listeners. Panderbear is both gratified and amused, but not surprised, that a comedy show does a better job of educating its audience to current foreign and domestic news than Fox News. The studies reinforce what Panderbear knew all along. Fox News Network is not in the business of educating its audience to what is really happening in the world. It has constructed an Alternative Knowledge System and is dispensing propaganda that panders to and confirms the biases of its conservative audience. Sadly, this turns out to be a very profitable business model.